Description: So many Christian people are walking around wounded in their hearts, minds and souls. I was given the desire to produce a CD that helps to heal with words of encouragement. I have what some folks call a cross between contemporary and country. 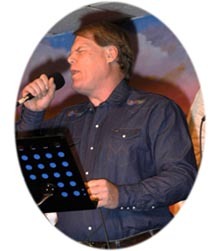 Biography: Mark Reynolds started recording for the Lord back in 1992. He had sung for the Lord for quite a period of time before that, but was finally convinced by folks at bible retreats that he should do a recording. Releasing "I Will Follow Thee" in 1992, it became some what of an international success, selling copies in Australia, South Africa and the United Kingdom, as well, of course in the US. The success inspired him to release "King of Zion, Judah's Lion" in 1996 which was also well accepted. After making a move in 1999 he decided to record again, releasing his first CD, "Is There Room" in 2000. Then, due to September 11th 2001 and the resulting research that started in 2002 he went into a long period of depression, doubting his faith, his life purpose and began questioning himself and God Himself. After having had a rather life awakening epiphany that took place at 4:00 AM November 2nd 2005, he realized as the words "Father, Creator and Saviour, you are a friend of my soul" awakened him that His purpose was to Praise His Father FOREVER. To bless his brother and sisters with his gift of singing songs with conviction that cause hearts to turn. That is what his life meaning is. 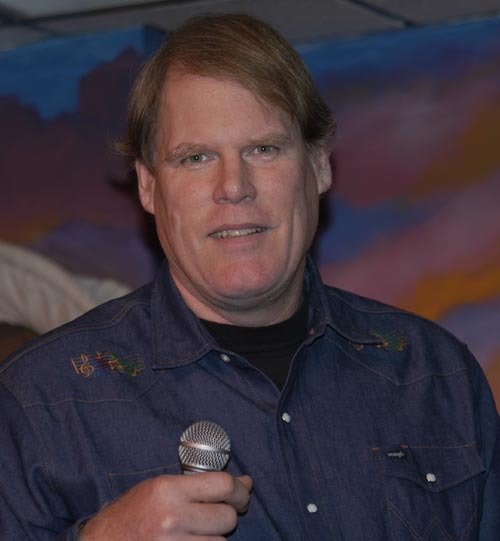 Living in the place most folks call Arkansas, with his four sons and wife of 29 years, he likes to sing at Churches and Praise gatherings and is continually wanting to share songs of faith with anyone who will hear them. Yours Alone is a CD that will inspire you, cause a desire for a closer relationship with God in you, help you in your walk with Him and just plain bless your socks off! Released November 5th 2006 on the 29th wedding anniversary of Mark & Kathy Reynolds, Yours Alone was a an anniversary gift to his wife. After walking away from the Lord for a number of years, an epiphany beyond human understanding brought Mark back to realization of what his life's calling is...to PRAISE His Father God and to give his life to Him as a gift for all of the UNCONDITIONAL love, UNMERITED mercy and AMAZING grace He has shown over these past years. The result of this epiphany is one of the most heart turning inspirational CD's your ears can ever hear. All the songs are were specially selected for their stirring testimonies. Get on and listen to it over and over in a dark room where you can be alone with the Lord.